“Loch Knares Monster” submitted to St Gemma’s 2018 Secret Art Project by Mick Burton, Continuous Line Artist. As the open session for bidding on e-bay for the A5 size card paintings and drawings submitted to the St Gemma’s Secret Art Project has now closed, I am free to say which two pictures were submitted by me. Of course, they are not single continuous lines. The first one, above, is called “Loch Knares Monster”. I used coloured pencils to produce delicate shades in the water and sky in contrast to the acrylic pen outline on the Serpent. I have always been interested in the Loch Ness Monster, so what is wrong with turning the famous railway bridge in Knaresborough into a giant serpent. My first attempt at the monster, years ago, was to add one to a mural of Venice which had been painted all over the bathroom wall of a house I shared with several others in Leeds in the late 1960’s. Also an artist friend of mine, Bryn Glover, constructed a sculpture of “Nessie” from a motor cycle chain in 1969. He worked at Leeds General Infirmary and once used a huge pair of forceps in a sculpture of a pelican. There had to be a train in it, particularly a steam train, but I did not feel that my favourite engine “Mallard” would be appropriate. See photograph below of Mallard crossing the Knaresborough bridge. “Mallard on Knaresborough Viaduct” in 1987. Photograph by Jo Turner (https://www.geograph.org.uk/profile/14389). One day in the mid 1950’s, when I was on holiday staying with relatives, my cousin John Simmister and myself wandered into the railway sidings in Peterborough. We saw Mallard, all be itself and so dirty that you could hardly tell that it was green. We climbed into the cab and talked about what it would be like to travel at 126 miles an hour and break the world steam record. “Mange 2 – Rail Root North” submitted to St Gemma’s 2018 Secret Art Project by Mick Burton, Continuous Line Artist. “Mange 2 – Rail Root North” was coloured in acrylic and in a style which I hoped would be very different to my Knaresborough picture. The HS2 railway project from London to Leeds and Manchester has been dragging on for years and I thought that I would compare that train to a streamlined pea pod. My wife Joan comes from Wakefield, which is Rhubarb Triangle country, and as she is a vegetarian I thought she may appreciate the “jokes”. Here is a clipping from this month’s Yorkshire Reporter, showing that HS2 is still big news. Yorkshire Reporter, November 2018, showing plans for Leeds Railway Station as part of the HS2 project. Therasa May is one of the celebrities (including John Bishop and Kaiser Chiefs) who have agreed to submit a picture to the Secret Art Project, but there is probably no danger that people will think that she painted Mange 2. This entry was posted in Animals, Exhibitions, My Styles of Drawing and Colouring and tagged acrylic, always on thyme, Bryn Glover, colour pencil, continuous line artist, courgette, courgette engine, fast track runner beans, Giant serpent, high speed pod, HS2, HS2 plans for Leeds Station, HS2 Rail Project, Jo Turner, John Bishop, John Simmister, Kaiser Chiefs, Knares, Knaresborough, Knaresborough bridge, Knaresborough viaduct, Leeds General Infirmary, Leeds Railway Station, Loch Knares Monster, Loch Ness Monster, Mallard, Mallard steam engine, Mange 2, Mange 2 Rail Root North, Mick Burton, Mick Burton continuous line artist, Mick Burton continuous line blog, mick burton leeds artist, Mick Burton Yorkshire artist, Nessie, not mushroom, pea pod, Peterborough, Peterborough railway sidings, Prime Minister, Rail Root North, Rhubarb triangle, sculpture, Secret Art Project, Serpent, single continuous line, St Gemma's 40th Anniversary Arts Festival, St Gemma's Leeds Art Exhibition, Steam train, Therasa May, third class cabbage, un bay leaf able, vegetarian, Venice, world steam locomotive record, World steam record, Yorkshire Reporter on November 2, 2018 by mickburton2. Mick Burton, continuous line drawing artist, one of 40 artists selected to exhibit in the Leeds Art and Photography Exhibition 2018 as part of the St Gemma’s 40th Anniversary Arts Festival. The 2018 Leeds Art and Photography Exhibition and Sale takes place on 26 – 29 October 2018 at The Grammar School at Leeds as part of the St Gemma’s 40th Anniversary Arts Festival. Last year there were about 170 artists exhibiting about 900 pictures and photographs. However, as it is the 40th anniversary of the charity, they have decided to give the 40 artists who have sold the most pictures in recent years the option of submitting more pictures and to specify their own presentation across two stands. I have been fortunate enough to be invited and look forward to the exhibition. This also shows pictures by over 30 artists from the 2017 exhibition, including my “Leeds Olympic Lion” above. I have also entered the “Secret Art Project” where you draw or paint on a post card and all the entries are displayed anonymously. During and for a week after the exhibition the display is on the internet so people can bid for the cards. They publicise various celebrities who St Gemma’s have asked to enter a picture card to help inflate the bidding. Of course, using my continuous line style would be a bit of a “give away” so I have used another approach. All will be revealed in a post after the event. This entry was posted in Animals, Exhibitions and tagged celebrity art, continuous line artist, Continuous line drawing, Exhibiting artist Mick Burton, Grammar School at Leeds, Leeds art exhibition, Leeds Grammar School, Mick Burton, Mick Burton continuous line blog, mick burton leeds artist, Mick Burton Yorkshire artist, post card, Secret Art Project, St Gemma's 40th Anniversary Arts Festival, St Gemma's Leeds Art Exhibition on September 11, 2018 by mickburton2. Another Stainbeck Artist, single continuous line drawing. Another Stainbeck Artist, single continuous line drawing portrait. Mick Burton continuous line blog, 2018. For this latest single continuous line drawing, I have used my gap technique to emphasise the crossovers of the lines and thickened certain key crossovers to try and further increase the three dimensional effect. You can compare the result with the gaps only technique that I used with my blue horse in 2012. Horse in Celtic style, single continuous Line drawing. Mick Burton, 2012. You can also compare the portrait (above), based upon a 10 minute sketch of Zina done at Stainbeck Arts Club in late 2017, with my first single continuous line portrait (below) based upon a sketch of Barrie done at Stainbeck in 2012. Stainbeck Artist, a Single Continuous Line Drawing from a 10 minute sketch. Mick Burton, 2012. I have also used the combined gapping and selected thicker lines on the single continuous line drawing of the Iguana, originally created in 1971. The colour sequence version of the Iguana being featured on my previous post in July 2018. Iguana, single continuous line drawing. I have used gaps and selected thicker lines to enhance 3D effect. Mick Burton, continuous line blog. “Another Stainbeck Artist” and “Iguana” continuous line drawings will both be on show, along with several other drawings and paintings of mine, at the Stainbeck Arts Club annual exhibition on Saturday 1 September 2018. See Pamela Cundall’s poster below. Stainbeck Arts Club annual exhibition, 1 September 2018 in Chapel Allerton Methodist Church, Leeds. Part of the Chapel Allerton Arts Festival 2018. Pamela Cundall poster. Once more the club’s exhibition is part of the The Chapel Allerton Arts Festival. The festival lasts from 27 August to 2 September 2018. Chapel Allerton Arts Festival 2018 – BannerGraphic18. Mick Burton continuous line artist blog. This entry was posted in Animals, Exhibitions, My Styles of Drawing and Colouring, People Portraits and tagged Another Stainbeck Artist, Banner Graphic 18, Barrie Stainbeck Arts Club, Blue horse continuous lin, Chapel Allerton Arts Festival, Chapel Allerton Methodist Church, colour sequence, crossover continuous lines, Gap technique continuous line, Horse in Celtic style, Iguana, Iguana single continuous line, Lizard single continuous line, Mick Burton, Mick Burton continuous line blog, mick burton leeds artist, Mick Burton Yorkshire artist, Pamela Cundall poster, Pamela Cundall Stainbeck Arts Club, Portrait, Selected thicker lines, Single continuous line drawing, Single continuous line portrait, Stainbeck Artist, Stainbeck Arts Club, Stainbeck Arts Club Exhibition, Three dimensional, Zenah, Zenah Stainbeck Arts Club on August 29, 2018 by mickburton2. Iguana single continuous line drawing with colour sequence. Mick Burton, Leeds, Yorkshire, 1971. At last I have got round to updating my galleries of both “New Work since 2012” and “Gallery 1965-74”. Here one of the additions to my older ones – Iguana, which I did show in an early post in July 2014 but did not include in the Gallery. I now have a fantastic gallery with a tiled format where every picture has been sized to fit and those in short related sequences seem to be logically placed as well. Exactly what I needed and way beyond what I expected. Do have a look. You can click on any picture to see it in detail and then click on arrows to see the whole gallery in turn. 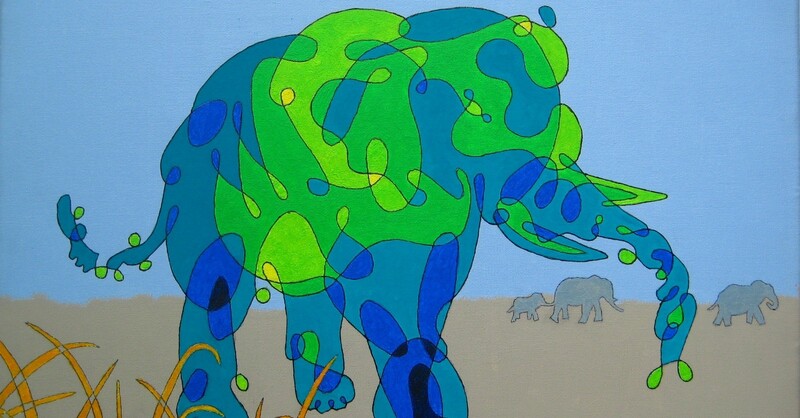 This entry was posted in Animals, My Styles of Drawing and Colouring and tagged colour sequence, Continuous Line, Fantastic WordPress gallery, Gallery 1965-74, Iguana, Iguana single continuous line, Mick Burton, Mick Burton continuous line artist, Mick Burton continuous line blog, mick burton leeds artist, Mick Burton Yorkshire artist, New Work since 2012, update website, WordPress, WordPress chat line, WordPress gallary on July 28, 2018 by mickburton2.